The sale was conducted through commission-driven financial advisors based in Estepona, Marbella and Fuengirola. These loans were sold to attain a reduction in potential inheritance tax, inasmuch as the mortgage would reduce the taxable value of the property, but also as a means to supplement the modest pensions received by the owners of the properties. In spite of not having any of the above authorizations, SLMF would lend but at the same time retain most of the proceeds of the loan, which would then be invested by them. The sale of this product was conducted via commission-earning financial advisory firms (Hamiltons Financial Services, Henry Woods Investment Management and others), based in Estepona, Marbella and Fuengirola. Court 11 in Bilbao has invalidated 12 Equity Release IHT mitigation mortgage loans sold to the public by SL MORTGAGE FUNDING Nº1 LIMITED. The Court orders the diverse Land Registries to remove the charges with immediate effect and nullifies, alongside, any and all contracts signed by borrowers with the Cheshire-based lender. In addition, the Court has resolved that borrowers will not have to return any advance payments made by the lender and will be entitled to the return of any disbursements made as a result of these contracts. 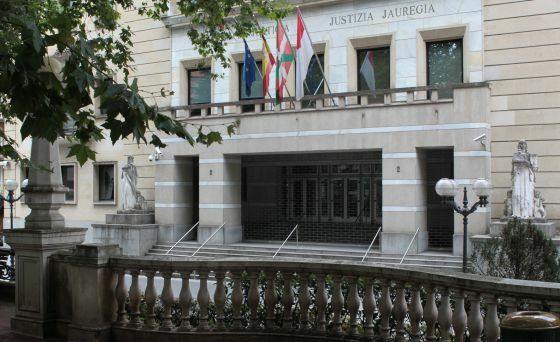 The Court found that SL MORTGAGE FUNDING Nº1 LIMITED operated an illegal lending and investment service and likens it to a “civil fraud”, as it did without clearance from the Spanish banking and financial authorities and concludes that the lender deserves the maximum possible penalty, as per article 1306 of the Civil Code. It was about time the “Baron’s” infamous banking antics were exposed in his motherland, France. “Envoye Special”, a weekly prime-time show presented from the “Champs Elysses” with the Eiffel Tower as a background, has succeeded in telling the horror inflicted by this man and his company to foreign expats with property in Spain. Minutes 7.30 and 50.30 refer to the Credit Select mortgages miss-sold in Spain.